Art and music stimulate a totally different part of a student’s intellect and imagination. 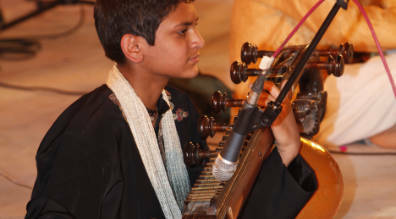 The music school offers training in vocal, tabla, sitar, sarod, flute, drums, violin and piano. 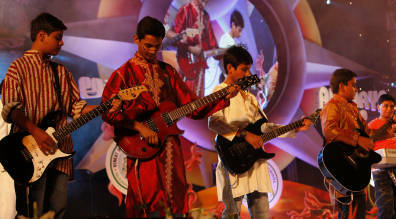 The addition of Western, classical and popular music have been enthusiastically received by the students. The Music Department gives highly specialized training in piano, violin, classical guitar, the trumpet, and other wind and wood instruments. The Music Department is updated and modernized every academic year. The department has its own symphony and concert bands. The music academy includes both instrumental and choral components. Students perform the music they learn , whether classical, folk, or popular songs at assemblies and in the musical events at large. After-school programs augment the formal curriculum with lessons being offered in several instruments. Students have the opportunity to participate in the regular band and choirs. Learning about the music of various times and cultures while performing it makes the learning more authentic and it becomes a becomes lasting part of learning. 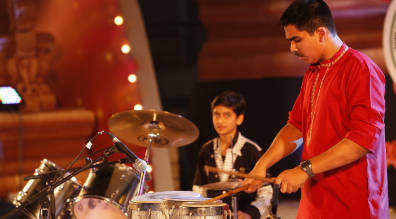 Our music academy develops and showcases the many talents of our diverse student population. Bringing this talent and diversity to the fore contributes immensely to the vitality and joyfulness of the student community.